What Should You Ask An Immigration Lawyer? Deciding on an immigration lawyer can be an unnerving decision. If you’ve never had to choose a lawyer before or don’t know the process in America, then the unknown procedure can be even scarier. At Zohar Law PLLC, we want to give you the opportunity to ask us all of the questions you need to ask an immigration lawyer so you’re well versed in the immigration process in America. We offer many different immigration law services at our law office. Get a good overview of our services, so you can understand how we can help you. Arriving in a new country can be difficult and unnerving, which is why Zohar Law PLLC will make you feel comfortable and settled by giving you all of the information you need to make an executive decision when it comes to choosing the right immigration lawyer for you. If you’re looking for an immigration lawyer, call (866) 318-0044. We are able to help you to the best of our abilities. 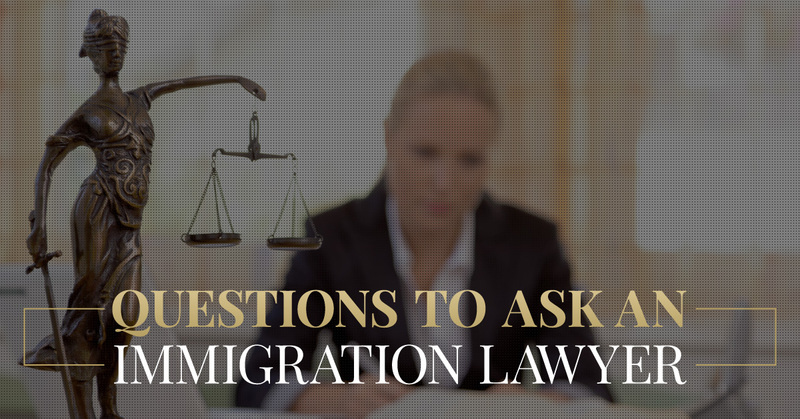 We compiled a list of questions and why you should ask these questions to an immigration lawyer to give you a better understanding of how to choose the right immigration lawyer for you. As a newcomer to this country, you’re probably not sure what to ask an immigration lawyer to ensure he or she has your best interests at heart. At Zohar Law, we want to help you by providing this list of questions to ask so you’re able to protect yourself and your family from going through a difficult procedure. Whether you’re searching for K-1 Visas, asylum, or an immigrant visa, we’re able to help you through the process. The first thing you need to do is begin forming your questions you want to ask an immigration lawyer. We’re able to help you get started, all you need to do is contact us to set up an appointment to speak with an immigration lawyer. Question: Are You A Member Of The American Immigration Lawyers Association? The first question you need to ask an immigration lawyer is whether they are a part of the American Immigration Lawyers Association. The American Immigration Lawyers Association is the largest organization of immigration lawyers nationwide. There are over 11,000 lawyers in this organization who range from practicing law to teaching law. In addition, there are specialists in this group of AILA attorneys who can help represent families seeking residency in the United States. This group represents an array of types of immigration cases, which means if the immigration lawyer you hire is a part of the AILA they’ll be able to assist in your case more so than an immigration lawyer who is not part of this group. Gadi Zohar, the managing partner at Zohar Law and a practicing immigration lawyer, is a part of the AILA. In addition, he is in good standing of the Bar of the State of New Year. If you’re searching for an immigration lawyer who is a part of the American Immigration Lawyers Association, Zohar Law PLLC is the law firm for you. Question: What Kinds Of Cases Have You Worked On? When you’re interviewing an immigration lawyer to find out if they are the best fit for you and your family, ask what kinds of cases he or she has worked on. Furthermore, ask the immigration lawyer whether they have worked on any cases that are similar to the one you want them to work on for you. If an immigration lawyer has been successful with a case that is similar to yours, then you are aware that the immigration lawyer knows how to navigate the case. Immigration cases can vary case by case, which is why it’s beneficial to hire a lawyer who is at least familiar and has a wide experience of immigration cases. At Zohar Law, we’re able to assist with a variety of different cases. Check out the immigration services we provide. To find out more about our services, contact us. Question: Will I Have A Successful Case? This question is a hard one to answer because the future is not written in stone. You can’t bank on a lawyer winning any case if there are certain variables in the mix. However, if the lawyer is experienced he or she should have a good idea of the kind of outcome of the case. Keep in mind that a situation can also be too good to be true, so always have realistic expectations on whether the case will have a positive or a negative outcome. This doesn’t mean you shouldn’t try to obtain what you want. This mean that you should find a lawyer who will give you a realistic answer and help to the best of his or her abilities. To ensure you do have a strong case, do everything you can to improve your chances and work with a lawyer who is able to assist you in getting what you want. Question: How Long Will The Process Take? Depending on what you want to get out of this process, it can either take a long or short time. Make sure to ask your lawyer the overall process and what to expect so you don’t have to pay for months of work with no end in sight. Keep in mind that it can be difficult to figure out an exact timeline of what to expect, especially when you’re dealing with the government. It’s a good idea to plan out your finances and prepare yourself for a lengthy immigration case. An experienced immigration lawyer will help give you an estimated time to ensure the process isn’t drawn out for longer than it has to be. Question: Can You Give Me An Estimate? It’s always a good idea to figure out how much you’ll need to spend for immigration cases. However, a lot of law offices start charging from the moment you walk through the doors of the office. When you hire Zohar Law PLLC, you’re able to set up a free consultation with us. Stop in and we can answer all of your questions in regards to your immigration case. All you need to do is set up a free consultation. We look forward to helping you every step of the way of your transitional time in you and your family’s life!